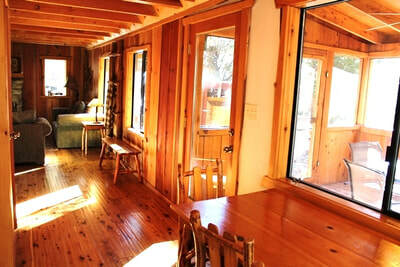 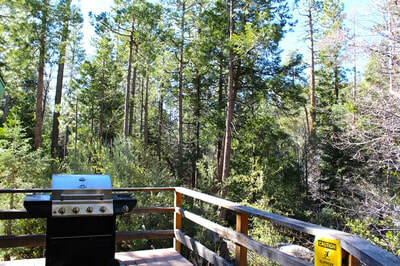 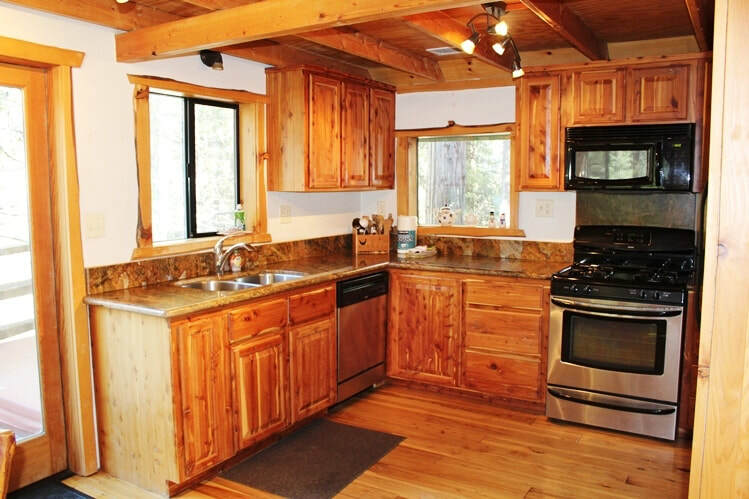 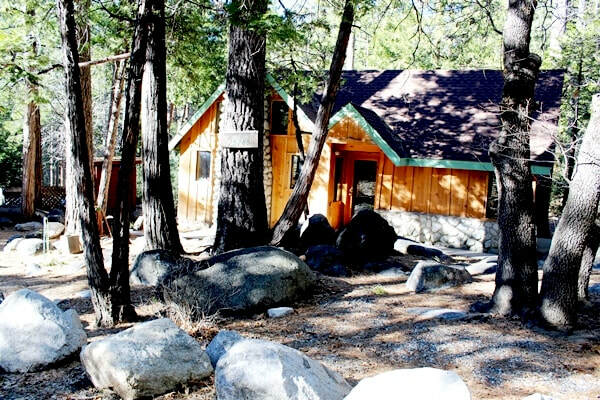 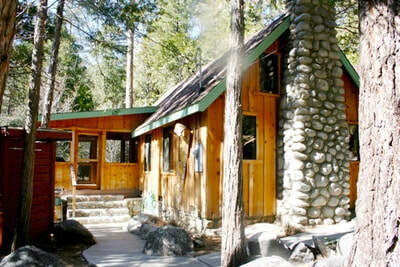 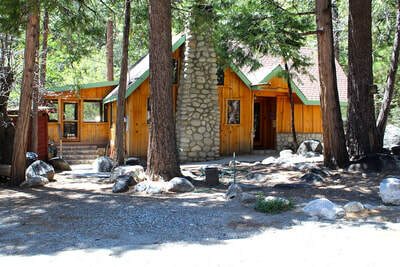 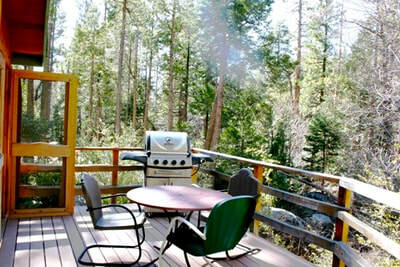 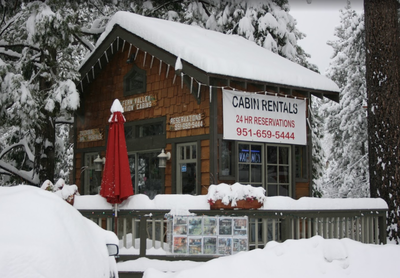 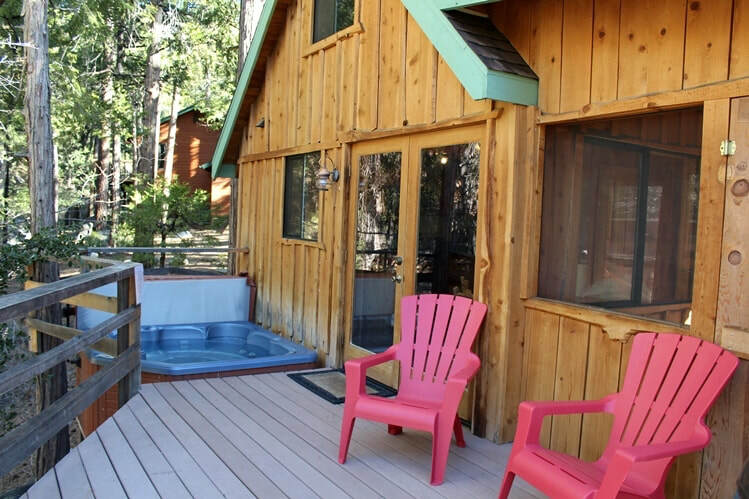 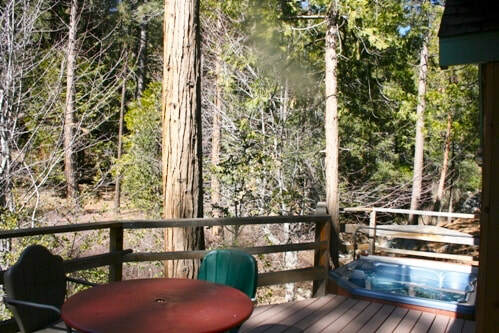 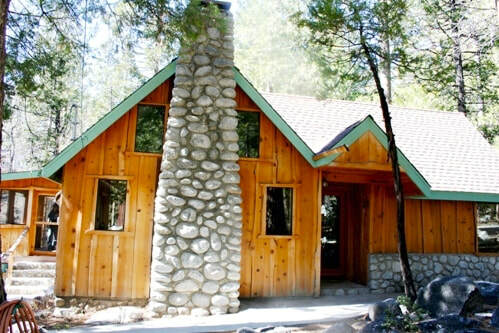 Marion Creek Cabin - A Vacation Rental High in the Mountains of Idyllwild, CA. 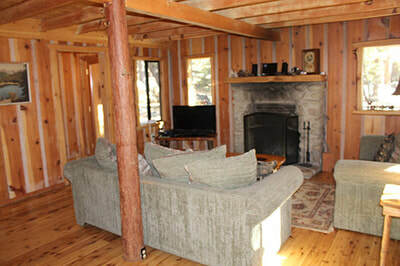 Marion Creek cabin results will display first in list - when available. 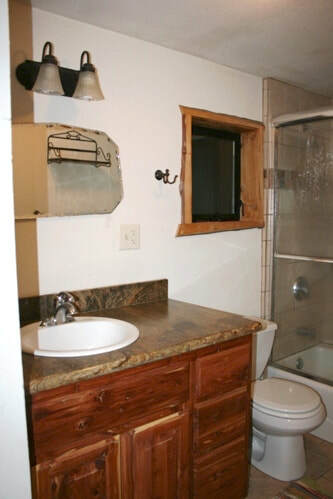 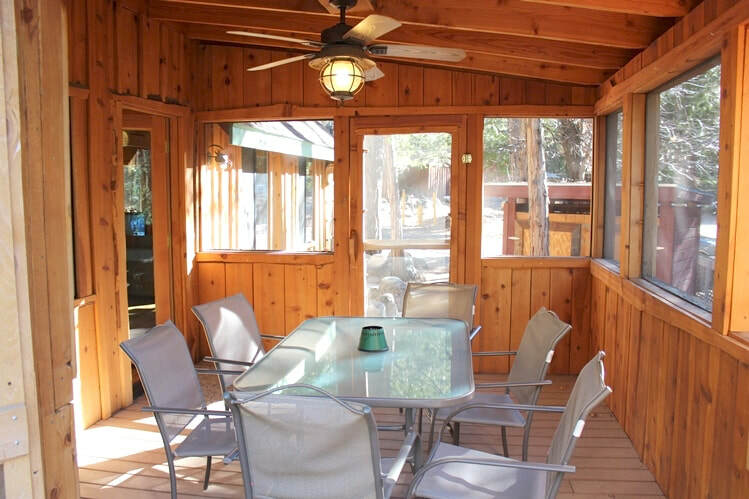 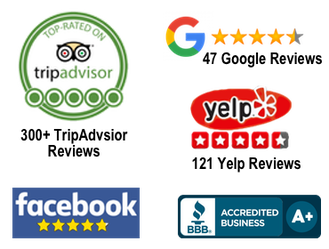 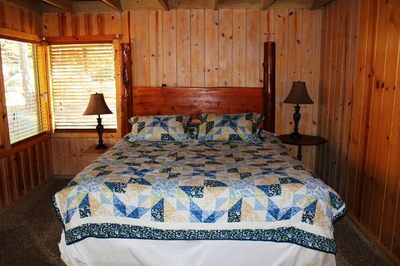 The Marion Creek vacation cabin is all about location and setting in beautiful Idyllwild, California. 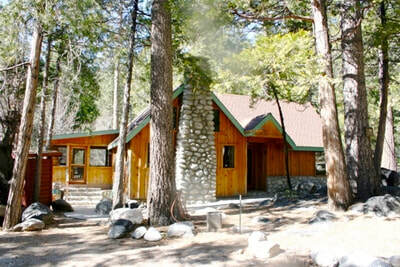 Its tucked back in the forest, and yet it’s only 5 minutes from town center. 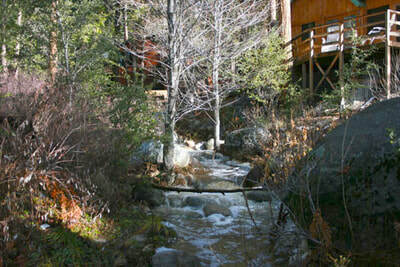 This modern mountain cabin sits on Marion Creek. 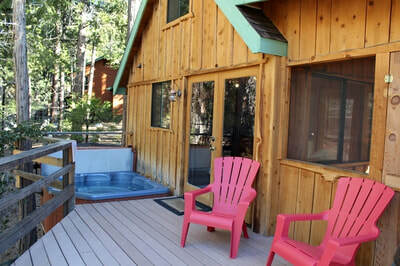 Relax in the hot tub on the deckin totally privacy and tranquility, with Marion Creek babbling away just six feet from you. 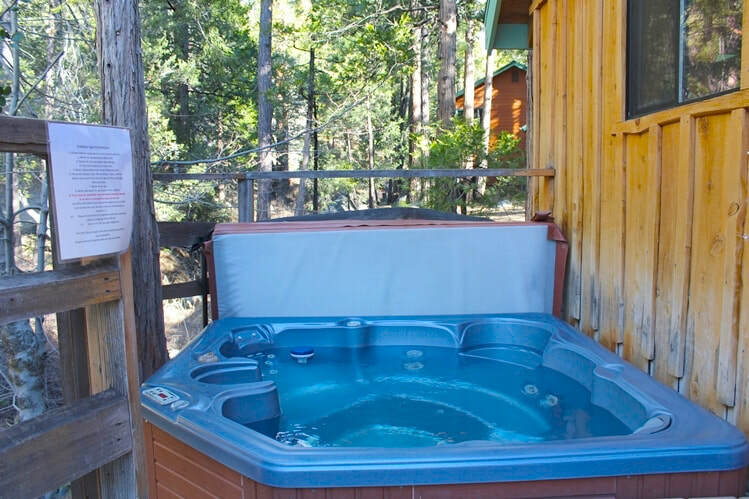 This is what relaxing is all about. 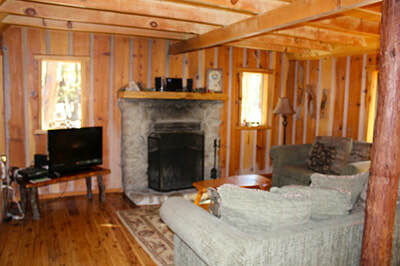 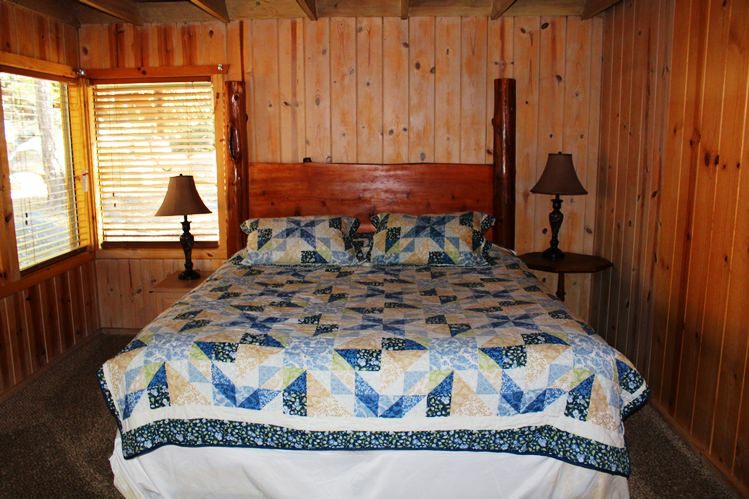 This lovely cabin has a real river rock fire place and enclosed patio. 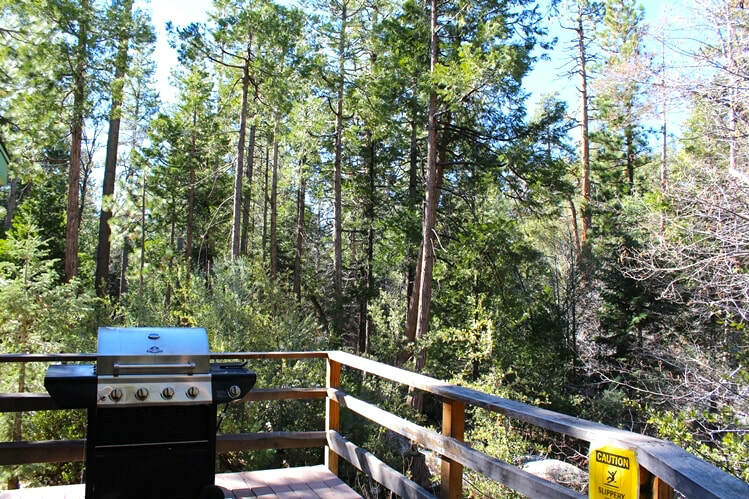 BBQ out on the deck and enjoy sounds of the creek or cuddle on the couch in front of a huge fire and enjoy your favorite show. 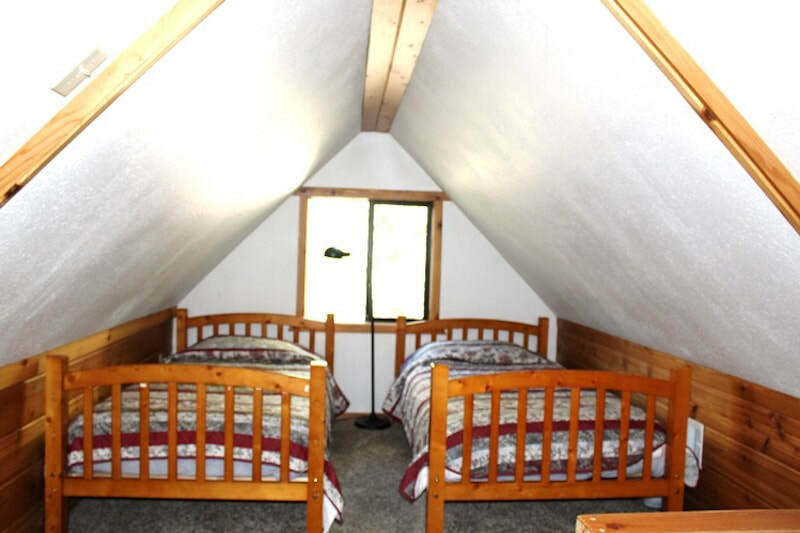 Marion Creek has two bedrooms, two lofts and sleeps seven. 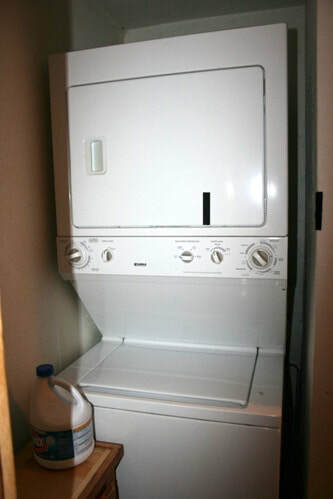 A washer and dryer will keep family and friends fresh and clean. 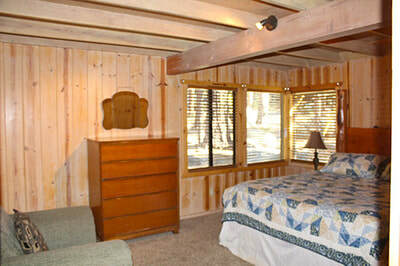 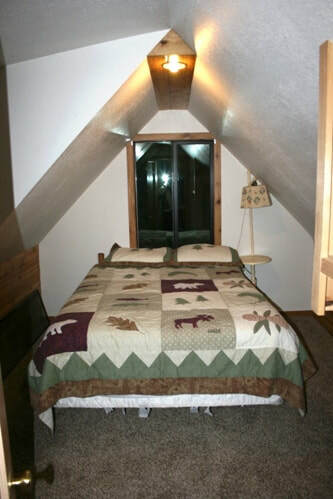 The Master Bedroom has a large, King Size Bed and a private room upstairs with double beds. 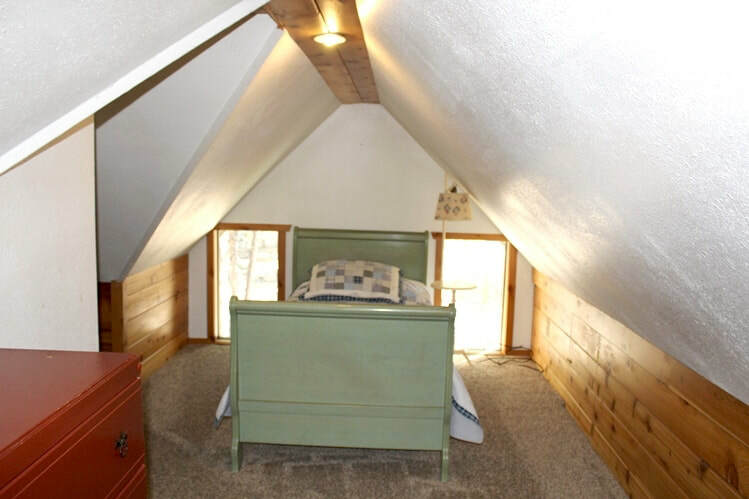 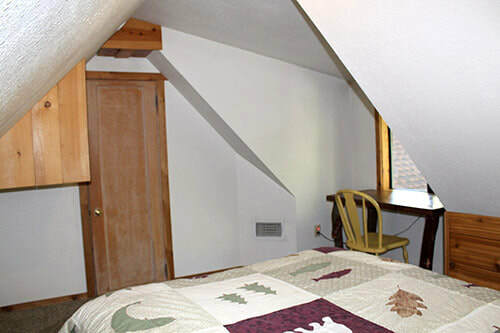 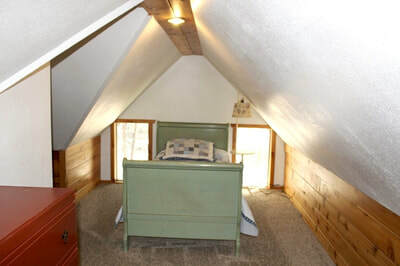 There are also two lofts that face each other with three twin beds. 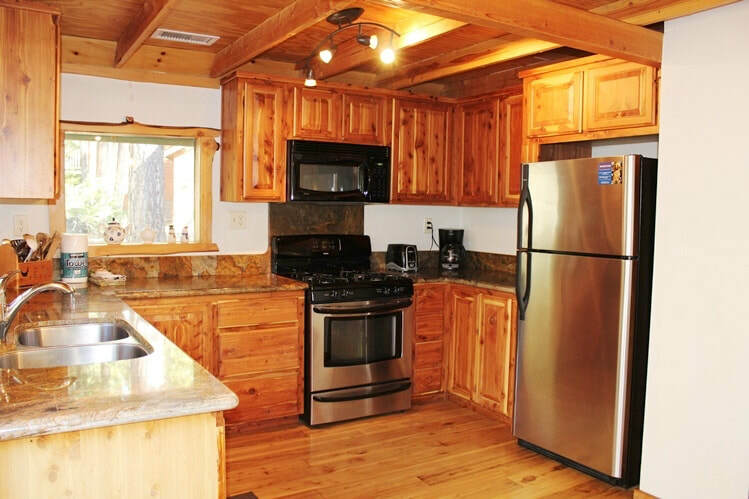 This is a cozy three bedroom cabin for a family looking for a real mountain experience. 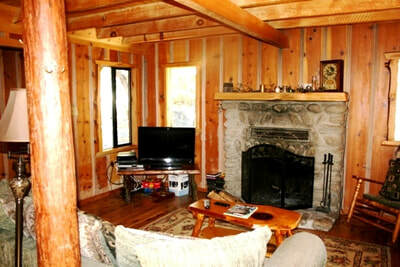 Its location is spectacular and town is nearby. Come experience the comforts of home on Marion Creek and be "Idyll-for-a-while".. Pets are welcome too.